From our wide range of beautiful villas, we've considered all the elements for you and the kids, hand-picking the most suitable villas so you don't have to. Why is Menorca good for babies & toddlers? This villa has what you need for a peaceful and relaxing holiday with the baby. Set in the handy and quiet residential area of Port Addaia which has a small supermarket, restaurants, and tennis court only a short walk away. This villa is equipped with toys, high chair, and cot included in the price. This stylish villa offers sea views from the first-floor balcony and is well-equipped with ample space inside and out. It also offers a child-safe pool with a pool gate ensuring the little ones don't go swimming without you! This one's not just for the little ones, the adults will love it too. VN172 is tastefully furnished to a very high standard and the outside facilities are great for everyone to enjoy. A babysitter can also be arranged for your stay. 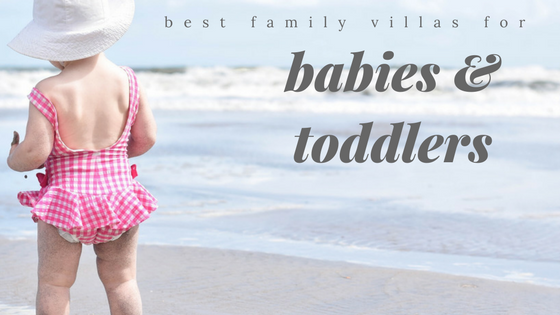 Make the baby's first trip an easy and successful one in this comfortable villa in Binibeca, only a short walk away from the beach, a selection of shops, and restaurants. This villa includes a high chair and cot in the price. Space is a key factor in a successful family holiday and VN91 has it, from the beautifully landscaped garden that runs to the water's edge to the luxurious interior, with elegant furnishings. High chairs and cots are available for your stay.